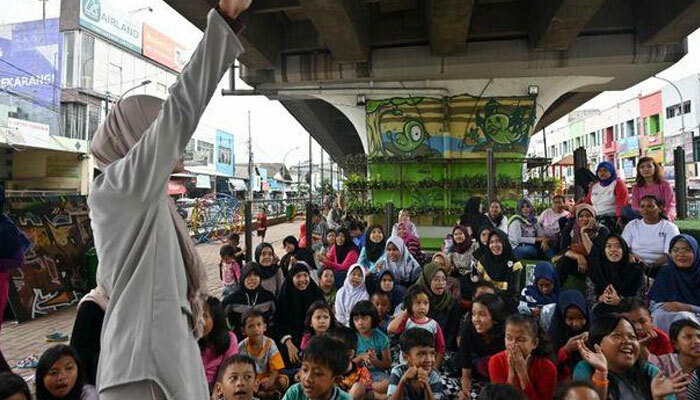 There´s no quiet rule at this open-air reading park wedged between two lanes of traffic just outside Indonesia´s capital, a city of some 30 million that is notorious for having some of the world´s worst traffic jams. 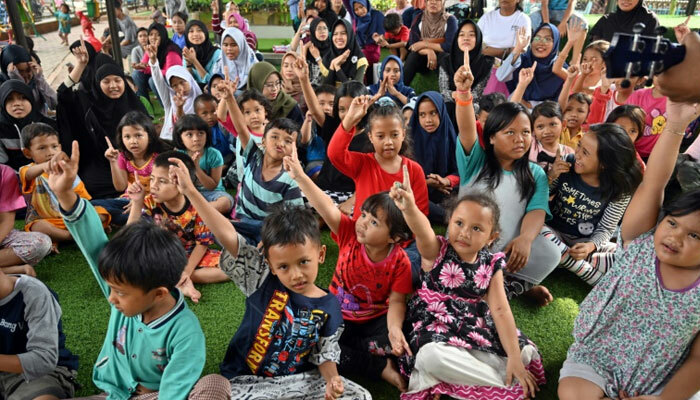 Despite its unlikely location, the Taman Baca Masyarakat Kolong has been a hit. A shortage of public libraries means it´s one of the few places where kids from this area can read books outside school. Several years ago, the flyover in suburb Ciputat, part of Jakarta´s greater metropolitan area, was strewn with rubbish and roamed by intimidating street thugs, Febrianti said. Still, it wasn´t met with universal acclaim when it opened for business in 2016. "We asked for forgiveness first from the gangsters who were here and then the ´angkot´ drivers," she added, referring to cheap and ubiquitous minivans that provide public transport. Today, it´s not uncommon to see up to 70 kids attending after-school sessions, where they read stories with teachers, get help with homework, or sing and dance on concrete covered with green Astroturf. "It makes me happy and it´s exciting," she told AFP in a brief interview, before rushing back to join the other kids. They´re often run by NGOs or volunteer associations funded by public and private sector contributions. 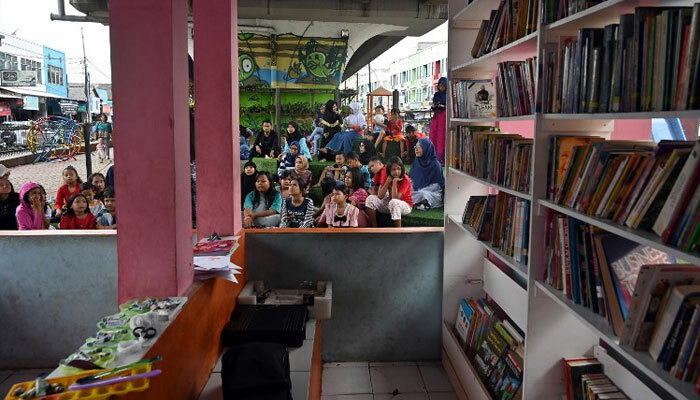 In Hong Kong, a small outdoor library that doubled as a children´s playground was set up under a flyover in the bustling city as part of research into how to better use community spaces, according to a report in the South China Morning Post last year. "But so far there haven´t been any complaints about the smell, rubbish or loud noises," Febrianti said, adding: "We use a sound system, which is quite helpful for us to overcome the (noise) problem."